This beautiful looking white three line necklace set is made from alloy and finished with brooch, kundan & stones. 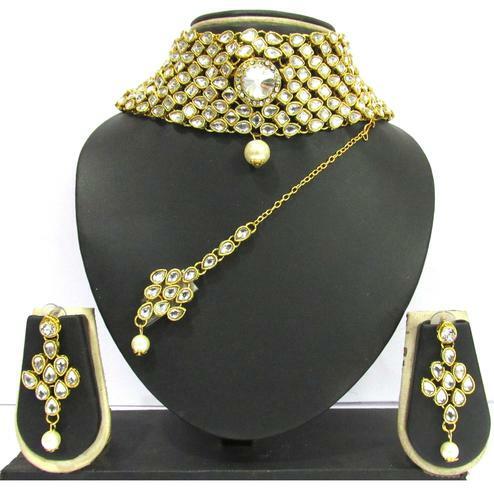 Perfect to team this necklace set with traditional outfits. 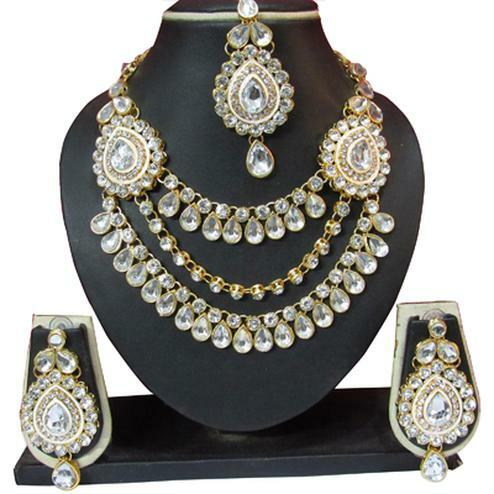 The outfit consist of a necklace set, a pair of drop earring set & maang tikka. 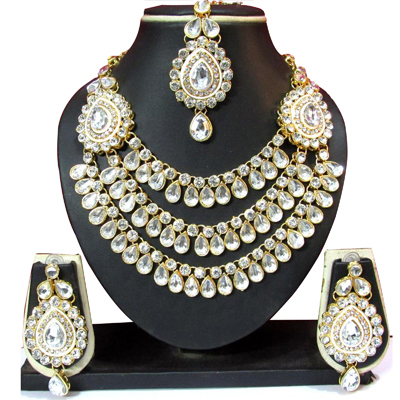 Material Used : Alloy, Kundan, Stone.